In response to President Obama’s State of the Union speech, the Republican National Committee has released a 1-minute-27-second response called “Familiar Rhetoric, Failed Record” on YouTube that uses soundbites from Obama’s 2010 and 2011 SOTU speeches alongside those from last night’s speech. Categories: advertising, politics, White House | Tags: advertising, Election 2012, GOP, obama, Republican National Committee, SOTU 2012, white house | Permalink. UPDATE: Miss the State of the Union Address? Catch the post-SOTU conversation on YouTube. At the time of this update, 185,577 people have submitted 99,380 questions and cast 1,253,874 votes. On the “live” SOTU page, the clip had 7,472 likes, 3,457 dislikes. You can see President Obama’s State of the Union Address live on YouTube tonight. 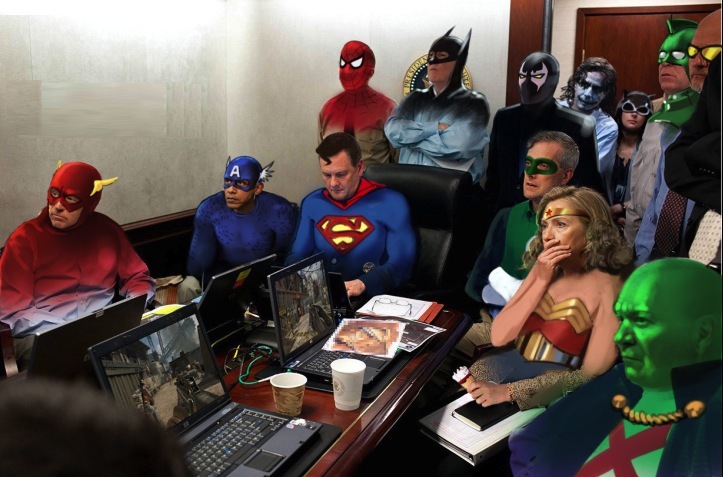 Until it finally kicks off, you can see a behind-the-scenes look at the writing of the SOTU. Categories: politics, television, Web 2.0, White House, YouTube | Tags: obama, politics, YouTube | Permalink. Categories: Homeland Security, Washington, White House | Tags: homeland security, obama, Osama, washington, White House | Permalink.